September 8th, 2019 is the centenary of Maria Lassnig’s birth, and the Albertina museum is honouring the occasion with a retrospective that opens two days beforehand. Once largely ignored, Maria Lassnig’s reputation blossomed in her later years when she became recognised as one of the most influential modern-day painters, particularly through the self-portraits that gave form to her “body-awareness” approach to painting. As a result, Lassnig’s work has graced the exhibition halls of various prestigious institutions, including the Tate Liverpool, London’s Serpentine Gallery, and New York’s MoMA PS1. Lassnig was a pioneer away from the canvas, too, becoming the first woman to hold a professorship at the University of Applied Arts Vienna (which once counted a certain Gustav Klimt among its students). The provisional exhibition dates are from Friday, 6th September through to Sunday, 1st December 2019. The museum opens daily. Opening times may change but are usually 10 am to 6 pm, with earlier opening when major exhibitions are on (with late opening on one or two days a week). At the time of writing, adults pay €16 to enter the museum. Concessions are available and a Vienna Pass currently lets you go in once for free. These details may change, of course, by the time the Lassnig exhibition begins. You can buy fast-track tickets* online. The museum usually has exhibitions running concurrently, so make time for those, too. In particular, a Dürer exhibition is on at more or less the same time. 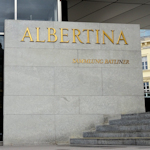 Then there is the permanent exhibition of paintings and other items from the Batliner collection, plus the staterooms (the Albertina is a palace – literally and figuratively). The Albertina is within walking distance of the very centre of Vienna, nestled among the collection of historical buildings that make up, well, pretty much the entire old town. Find subway and tram advice on my Albertina museum page.